Ben Thomas brings to the petroleum industry almost 30 years of experience, networking and ideas to help owners and inspectors solve complex technical problems in the management of underground storage tank systems. Ben’s experience goes back to 1986, when he supervised UST removals in Vermont. Between 1989 and 1995, Ben oversaw cleanup of leaking UST sites in northern Alaska. 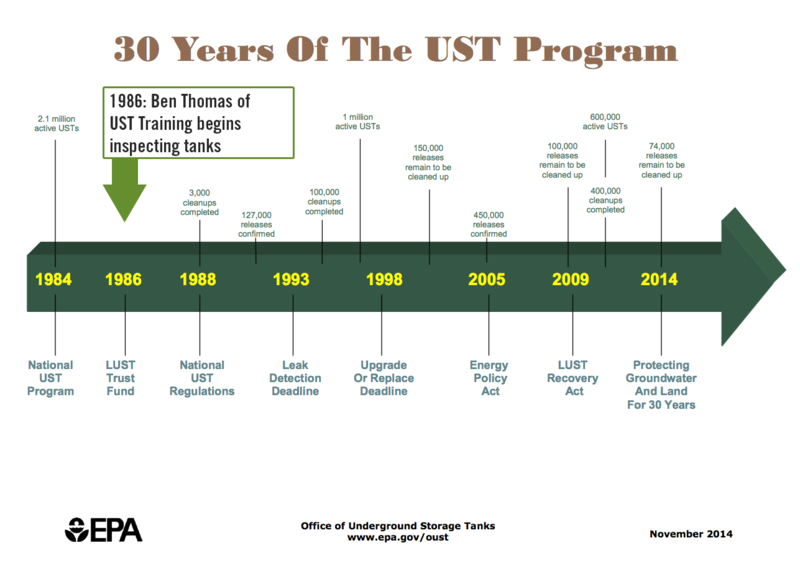 From 1995 to 2002, he ran Alaska’s UST leak prevention program. Ben gained national attention for his innovative work in web page development, outreach material, financial responsibility compliance, and most notably the Alaska third party inspection program. 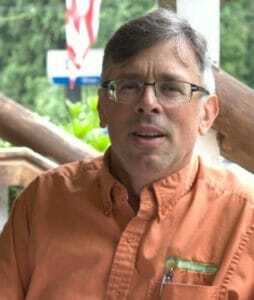 Since leaving Alaska in 2002, Ben’s principal focus has been education, training, and outreach to the nation’s UST owners, operators, inspectors and technicians. Ben led the nation’s first state-approved Class A/B operator class in Oregon in 2003 and has been training nonstop ever since. From Guam to Puerto Rico and many points in between, Ben continues to look for new ways to make his UST classes interesting, relevant and sometimes fun. Currently Ben manages USTtraining.com, an online training school for Class A, B and C operators. Between his live, webinar and online classes, he’s trained more UST operators than any one person in the US. Ben also offered free information to UST operators and inspectors with his popular Tank Savvy Minute video series on YouTube. Ben’s motto is that he’s helping protect the nation’s drinking water supplies one tank at a time. Ben Thomas has been an innovator in the field of UST education since 1996. Here is a list of his “firsts” in the industry. 1996 Created and launched one of the nation’s first state UST web pages in Alaska. 2003 Taught the first-ever state-approved Class A/B course in the nation in Oregon. 2004 Designed and created the first ever state online training UST program in Montana. 2007 Created and taught first UST Class A/B UST operator course in Kansas. 2007 Designed the first online UST training program in Idaho. 2009 Created and taught first ever Class A/B UST webinar and first Class AB UST operator course in Colorado. 2010 Created and taught the first Class A/B course in US Virgin Islands. 2010 Created and taught first Class A/B UST operator taught in Wisconsin. 2011 Created the first Class A/B UST operator training course in Puerto Rico and first taught in Spanish. 2011 Created and taught the first UST Class A/B UST operator training course taught in West Virginia. 2012 Created and taught the first UST Class A/B UST operator training course in Guam and Saipan. 2013 Helped create KY TOOLS (Tank Operator Online Learning System) in Kentucky. 2015 Taught the first Class A/B and C UST operators at the Red Hill Tank Farm, the world’s largest known UST system, at Pearl Harbor, HI. 2015 Created and taught the first Class A/B and C UST operator course in Nebraska. 2016 Taught the first exclusively “Subpart K” certified Class A/B course for airport hydrant and field constructed UST operators, Guam. 2016 Created and launched the first ever online Indian Country Class A/B UST operator training course.